A curse. A feud. And the only thing that can vanquish darkness--love. The Rayne family is trapped in a rut of bad luck. And now, it's up to Lady Theodosia Rayne to steal back the Theodosia sword, pilfered by the rival, Renshaw family. Damian Renshaw, the Duke of Devlin, is feared by all--all, except Lady Theodosia, the brazen spitfire who enters his home and wrestles an ancient relic from his wall. When passions flare, can two forbidden lovers find a way to make amends? Or will their families' war tear them apart? When Captain Lucas Rayne returned from fighting Boney’s forces, he was a shell of the man he’d been--until Eve Ormond begins work in his household. Desperate for new beginnings, Eve conceals secrets of her past from her employer. But can she break down the walls protecting Lucas’s heart, or will the secrets between them shatter all hope of true love? Miss Carol Cresswall is determined to avoid a loveless union. 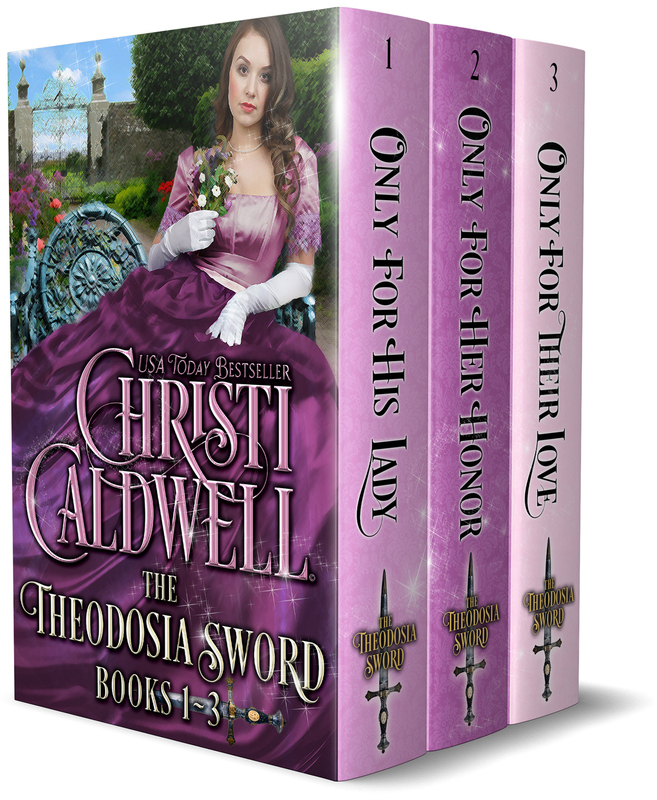 Her mother has altogether different plans—plans that include a match between Carol and Lord Gregory Renshaw.